Logo print from the Valentino x Undercover collaboration. It’s not a secret that men’s wear is a little bit confused. 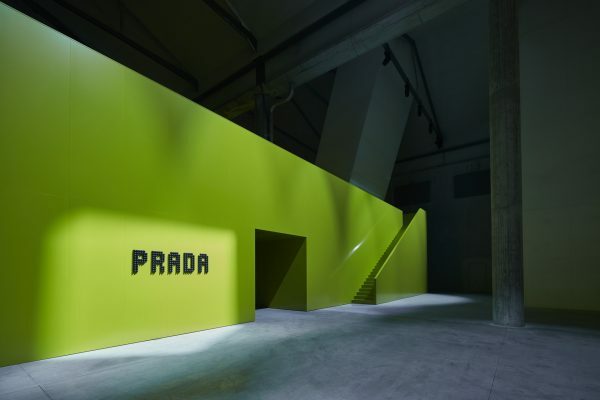 Even while it has become the growth sector of the fashion industry in recent years, the demands of the new customer are not entirely clear. In the old days, men wore suits from Monday to Friday and sportswear on the weekend. But now, it’s a big mash up: sneakers with tuxedos at weddings, hooded sweatshirts at board meetings. You get the picture. 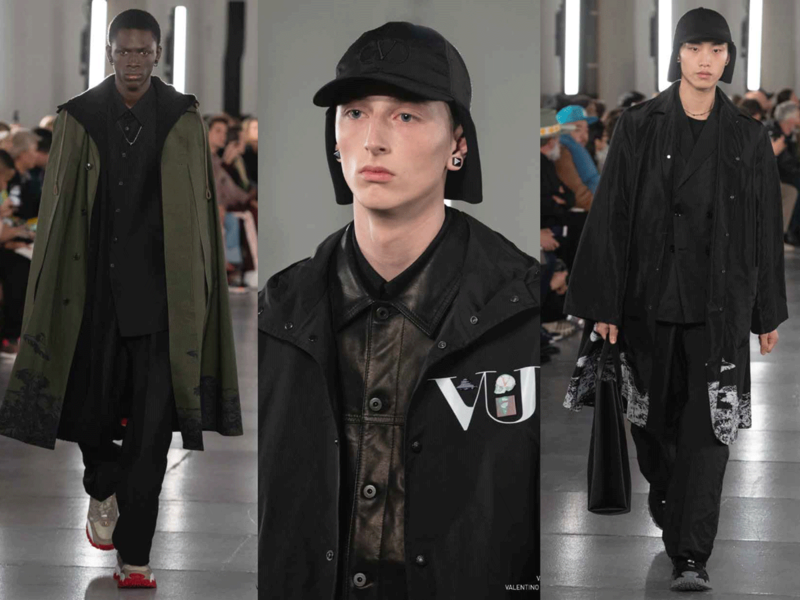 Pierpaolo Piccioli addressed this conundrum in his new men’s collection for Valentino. At heart an Haute Couturier who has his suits made by his Roman tailor and loving handmade things, Piccioli knows he cannot deny this new reality. Rules are out the window. He even took his bow clad in signature black pants and sweater but with big white sneakers. “I think tailoring or Haute Couture needs to be reconsidered. 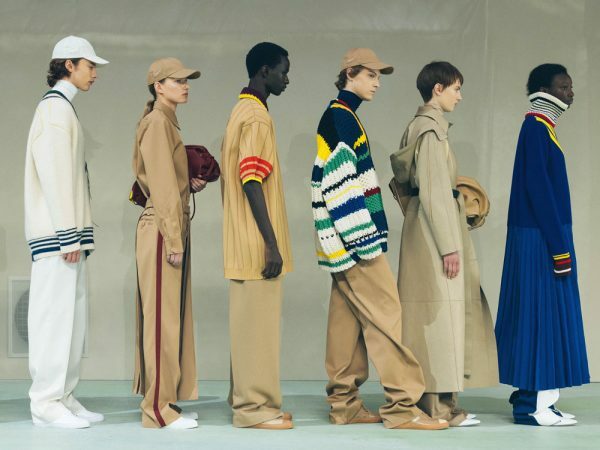 That’s why I teamed up with Jun Takahashi who is a ruler of street wear and Birkenstock who are a symbol of comfort,” explained a beaming Piccioli post-show to the press. 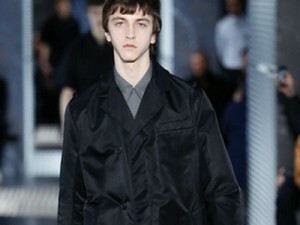 Hence, the Valentino man featured sophisticated tailoring in mostly black wools and perfectly judged accentuations of logos and prints. Neatly tailored pants worn with layered coats and jackets. 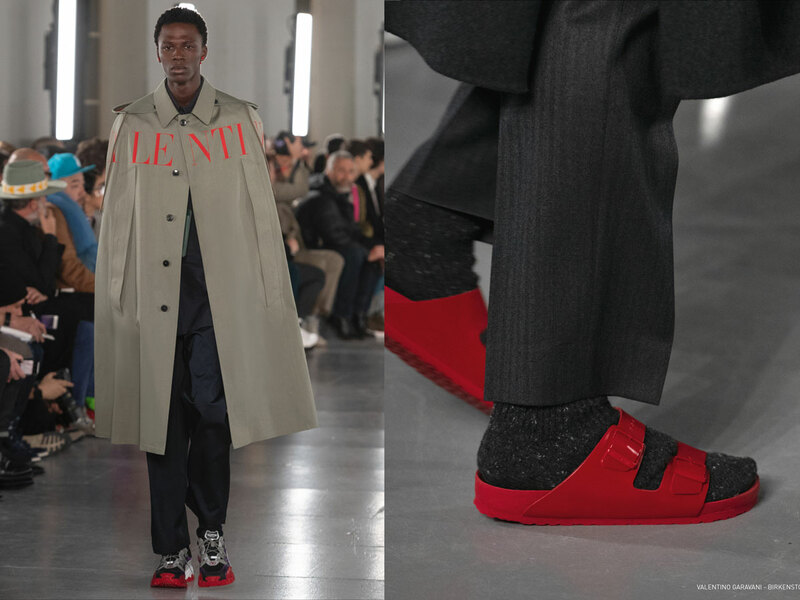 We know these coats and capes and it was refreshing to see that Valentino does not try to court millennials by simply adding logos to the clothes but by opening up the codes and allowing Birkenstock sandals worn with black socks and immaculate tailoring to be part of the conversation. A simple beige cape with the typical red Valentino logo and matching bright red Birkenstock sandals. Clearly Piccioli’s favorite color. He often turns to it when he ponders a bigger issue. After last season’s loud colors, most of the coats and jackets here were in somber black wools. 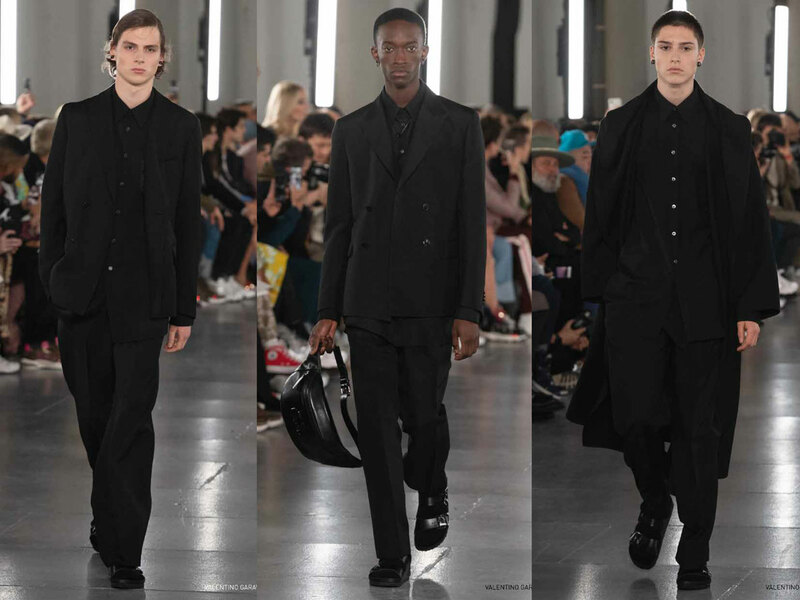 Complete black looks combined with classical tailoring. Why this show matters so much? Piccioli has never been afraid to let the street come into the atelier and vice versa. 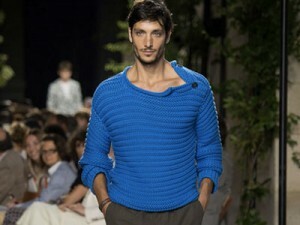 Simply the fact that the Roman couture house is showing in Paris where men’s wear is much more avant-garde when the old Valentino under Mr. Garavani was shown in Milan where runways are dominated by convention and not contamination, prove that Piccioli wants the most storied of houses to compete with the most trendy labels out there. What about the Undercover collab? Again, this is why this show is so relevant. 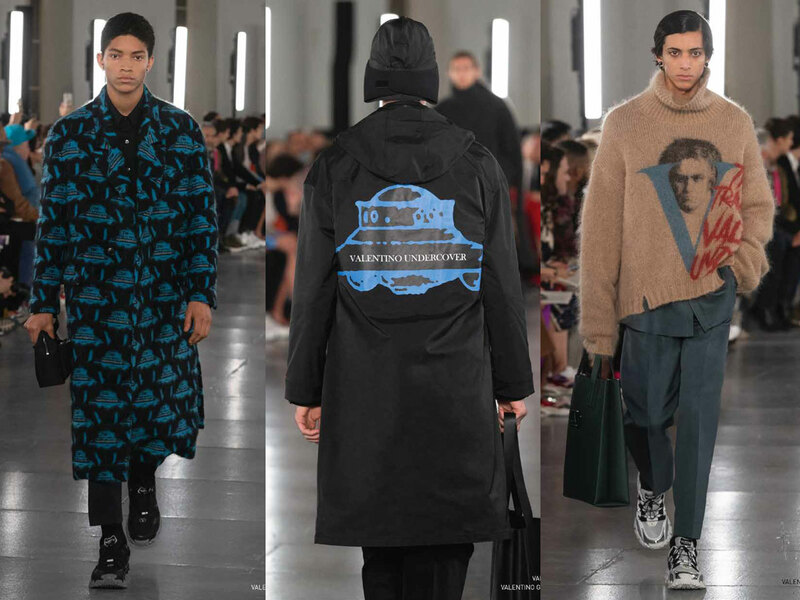 To see Jun Takahashi developed graphics in Valentino atelier intarsias, embroideries, jacquards and prints was breathtaking. Prominent logos and ufo prints could be found on jackets, coats and sweaters. There are not many Germans who have a proper fashion show during Paris Fashion Week. Yes, we mean the fashion week that has become the most important one in the world. Why? First of all, all the talents globally flock to Paris plus the money as well. Nowhere do buyers spend more of their budget or do they have more freedom to find new talent. 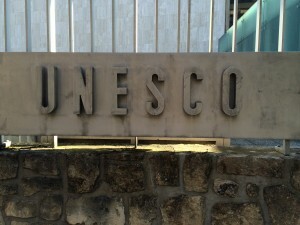 Paris as show location is already a branding element. 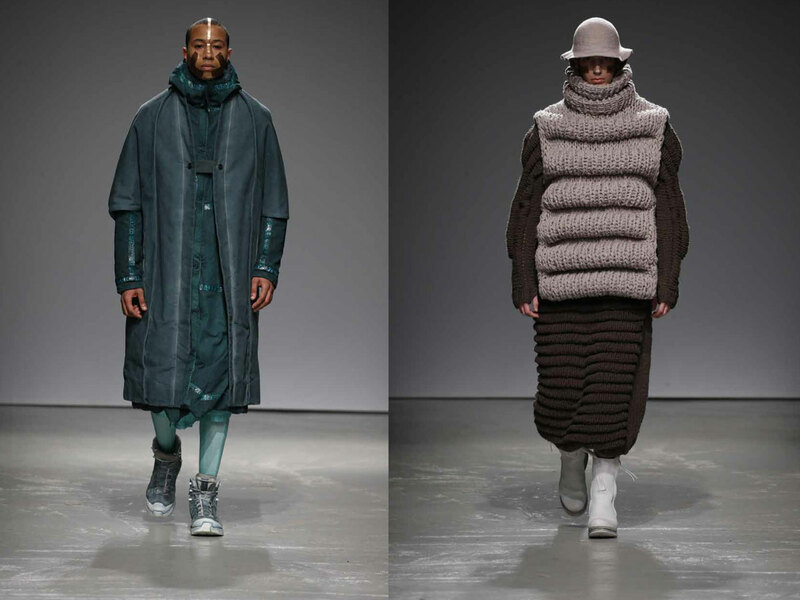 Boris Bidjan Saberi born and raised in Bavaria and living in Barcelona is one of the few Germans still on the schedule. 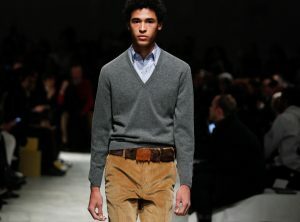 His men’s wear is pure, made in the artisanal way yet still full of ideas and precise tailoring. His latest show was a hit. Here is why. 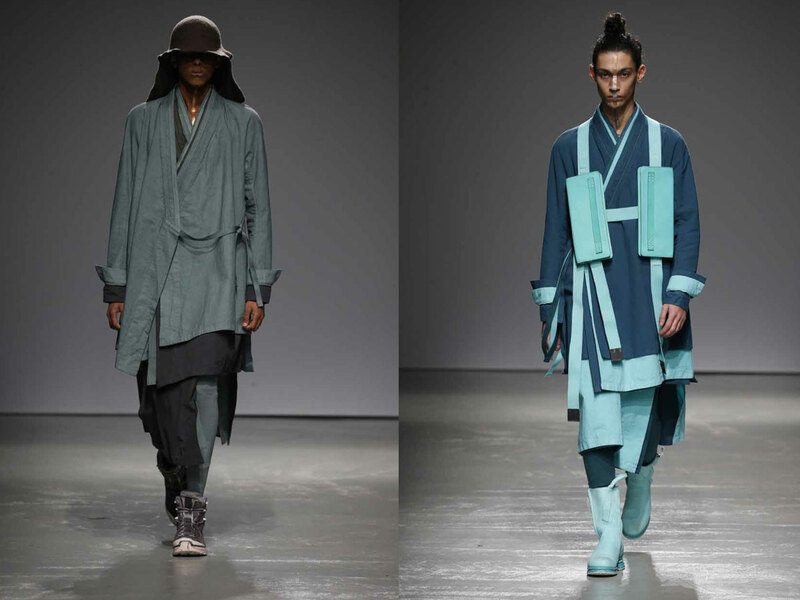 By looking at his paternal Persian side and going on an imaginary journey to Mongolia, Saberi found newness for his label by injecting color and shape. His shapes are strong on big volumes this time mimicking Mongolian shepherds and their protective tents. These garments often come in several layers of differently processed cottons in different hues. Layering in soft colors on the runway of the F/W 2019 show. Always an organic designer first, Saberi found his breathtaking new color palette of peppermint greens and patina blues from oxidization experiments with real copper. Coats, sweaters and pants in graded colors. Cool colors dominated in the show. 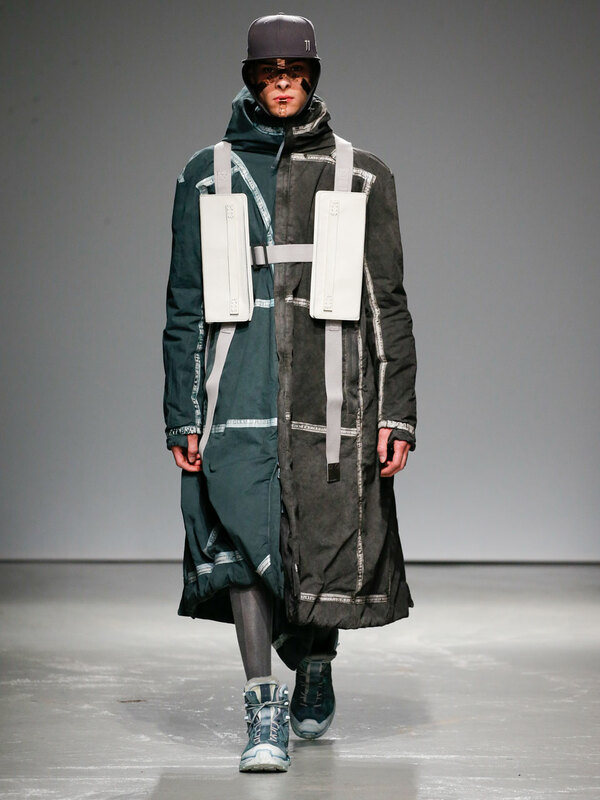 Object-dyed seam taped parkas featuring backs where an overlapping technique allows for 3D effects. This creates protection and new surfaces at the spine area of the long and short cashmere coats. A long coat divided by the signature colors. Footwear is in collaboration with French boot maker Salomon and 11 by Boris Bidjan Saberi featuring a new GORE TEX mountain boot. Also, newly molded tough high boots made with a layer cushion technique in all leather add innovation. We went together with Dixon, one of the world best Dj’s, to the show and he confirmed that a lot of his colleagues wear Boris Bidjan Saberi in and outside their booth.